On http://www.raumfahrer.net/news/raumfahrt/06112011123739.shtml is a story about a new chinese space tracking station in Australia which was used the first time for the current Shenzou 8 flight. Are there any additional information about the current status of Chinese space tracking stations and their space counterparts, the data relay satellites? 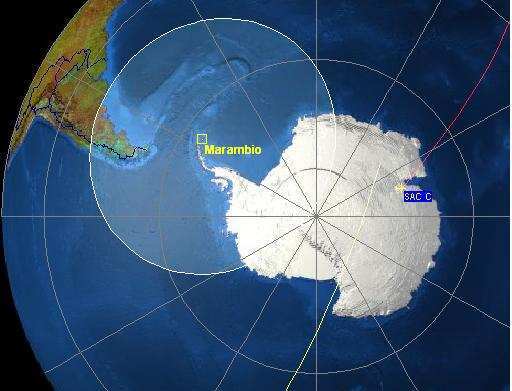 they write a story on this topic,"China 'has Australia space tracking station'"
Well, there was an antenna installed in the Argentina's Marambio Base (Antartica). It receives weather information of NOAA and Feng Yun satellites. The attached image shows the 0 degree reception of the antenna.